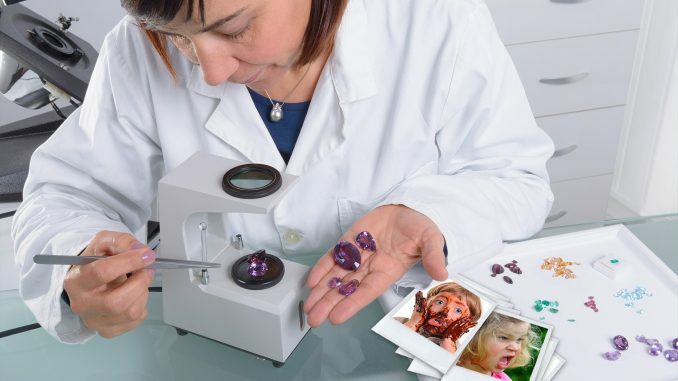 ANTWERP—A shocking report published by Belgian gemologist Hilde Vermeulen has overturned long-standing conventional wisdom that children are precious. Her estimates placed the value of a typical child at somewhere between that of quartzite and shale. Children are graded on the “Four Cs”: Cuddliness, Capability, Cleanliness, and Carats. One specimen, named Jamison, had smeared his face with brownie batter, degrading his value. Fortunately, Vermeulen said he might still be salable under the ‘chocolate’ brand. Vermeulen reported that this was standard practice in the gem industry. For example, unattractive brown diamonds that would typically be limited for use in industrial drillbits can sometimes be sold as ‘chocolate diamonds’ to the unsophisticated consumer.